I hope you had a peaceful two weeks – it is a bit of a strange start to the term with two four day weeks, but we have got lots to cram in this term! We start the term this week with Parents’ Evening – please speak to Dee if you have not got your appointment yet. There is also a change to the staff structure in Key Stage 2 this term; as you may have been aware Mr Tyrrell was off before the holidays. I am pleased to be able to tell you that he is back now, but is working to a reduced timetable in Class 3. This means that the bulk of the teaching in the class will now be done by Mrs Helliwell, with support from Mrs McNeil. I believe that this arrangement will ensure consistency for Class 3 children – and we will be able to split Class 3 and Class 4 more frequently in the afternoons. Arrangements across the school for next year are currently being finalised – but, as ever – if you have any concerns please do pop in and see me in school. In other school news we are currently working with Tullie House to offer a Chinese Club on a Monday lunchtime, and thanks to equipment from Cumbria Stem we are starting a lunchtime Lego challenge club for Year 3. Our popular garden club starts up again this week as well, and if you can spare time for the garden do please get in touch! Running club also starts up again this Thursday. We have also just been designated a Community Hub by the Computing at School’s association – this is an excellent opportunity for the children and staff here at school, and means that we lead the way in our use of technology in school and in the teaching of computing and ICT. We put a letter out for interested Parent Governors before Easter – the deadline for this is next Friday. You can find out more details here. Finally a reminder about the need for healthy snacks in school and a healthy packed lunch (if appropriate) – the number of children bringing chocolate bars in for playground snacks is increasing and I would take the chance to remind you that we encourage the children to make healthy choices; fruit, cereal bars and vegetable crisps. Please remember that we do not allow peanuts in school. As you know, every year we ask our older children what they are thinking of doing when they leave school. This always prompts some really great conversations about careers and subject choices and lets them ask any questions. We then try to invite people to speak to the children who already do these jobs, or who have some experience in this field. This is a really useful aspect of our curriculum as it allows the children to start thinking of the future and to think about the possibilities a good education opens up for them. It also improves their confidence as they learn to talk to adults and to listen to experts talk about their field. The children are interested in Zoologists, builders and mechanics. We have already had a Skype chat with a football coach, and we now need your help to find others who can talk to us. If you can help, please contact the school office 01228670393. This week we are celebrating Science Week. 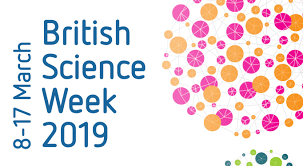 Along with the British Science Association, British Science Week has been always been a feature of our calendar. This week we are starting with a Robotics Workshop, C4 today and C3 tomorrow. We also have a ‘mix-up’ afternoon where the whole school will be taking part in different scientific activities with different teachers. Later in the week each class will have a different focus for their work – and you can see the results of this on Friday in our Science Exhibition (from 2:45pm). As usual this week gives us the chance to embed our science curriculum and to challenge our children to think deeper and to engage with different scientific concepts. We look forward to sharing our work with you all on Friday! Following on from our successful clue hunt last year we are continuing our trend of a low-key World Book day! This year things are complicated further by some of the children being out at football tournament. World Book Day will then be celebrated in school with in-class activities; these involve a look at some of our favourite non-fiction books for Class 2, drama and dressing up in Class 1 and scavenger hunts in Class 3 and 4! 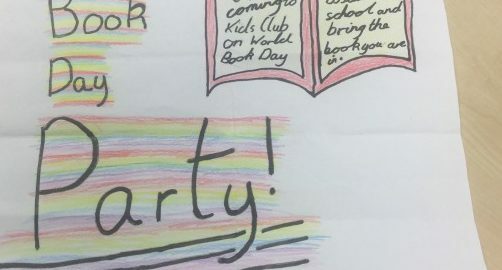 As usual World Book Day vouchers will come home, and as an extra treat there will be party in after-school club. This party, which the children can dress up for, will be at the usual cost of Kids Club (£5 until 5pm including snack!). Remember – the whole point of World Book Day is to celebrate books – if you want some ideas for doing this at home you can take a look here. This term we have created links with a school in Guangzhou, China. Currently our school council is planning a ‘culture box’ to share with the school and they have already sent us videos of their box, which is on it’s way to us! To reinforce these links we will be celebrating Chinese New Year on Wednesday 6th February, which is a day after the official Chinese New Year on Tuesday 5th. We will be taking part in traditional crafts such as making Chinese New Year cards, creating paper dragons and learning about the myths and legends which are part of the Chinese Culture. The children will have the chance to cook traditional foods such as rice, noodles and vegetables. We will also have a slightly different lunch that day of Sweet and Sour Chicken with Sticky Rice Balls (made by Class 4!) for pudding. If your child doesn’t normally have school lunch on this day they are welcome to opt in – just speak to Dee in the office. To support us with this, and to share their own culture and language we are also welcoming Chinese students from Austin Friars School in Carlisle. This will be a fantastic opportunity for the children to learn about the languages in China as well as their culture and traditions.